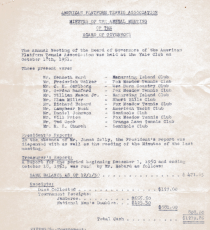 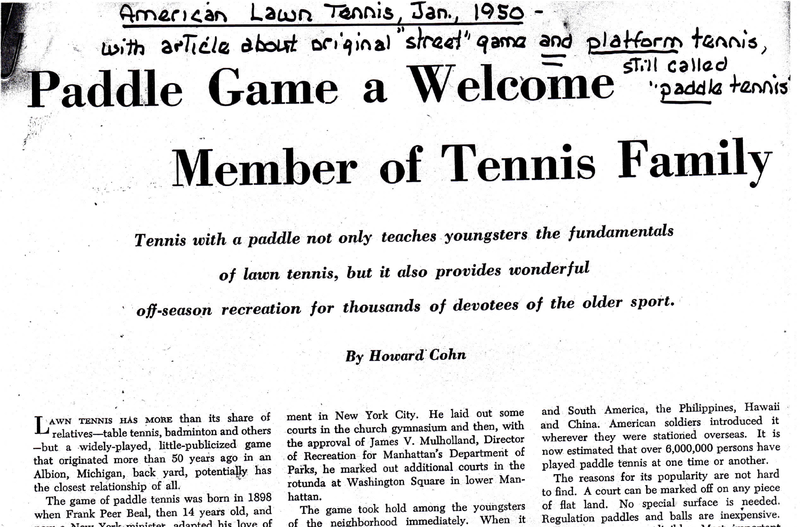 The article "Paddle Game a welcome Member of Tennis Family" by Howard Cohn appeared in the January 1950 edition of American Lawn Tennis. 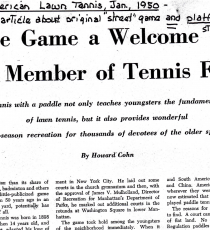 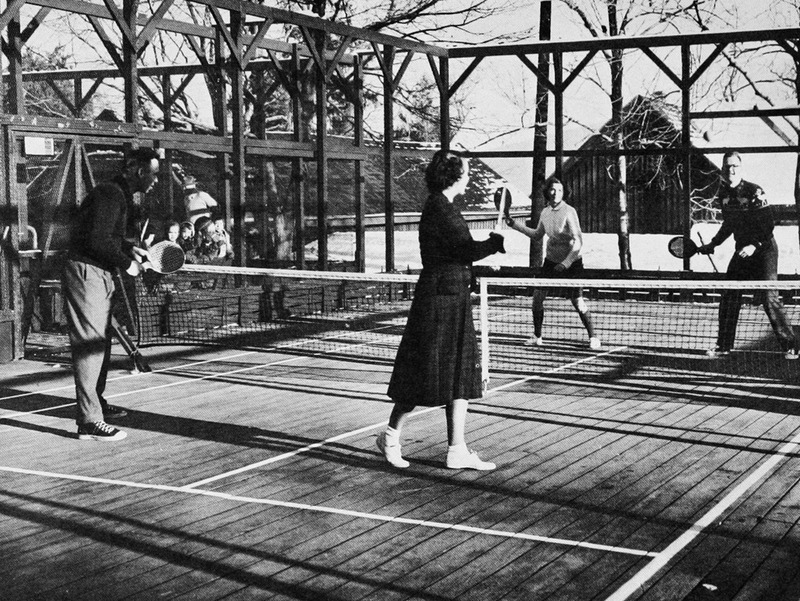 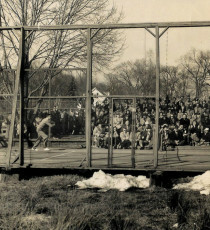 Cohn wrote that "tennis with a paddle not only teaches youngsters the fundamentals of lawn tennis, but it also provides wonderful off-seasom recreation for thousands of devotees of the older sport." 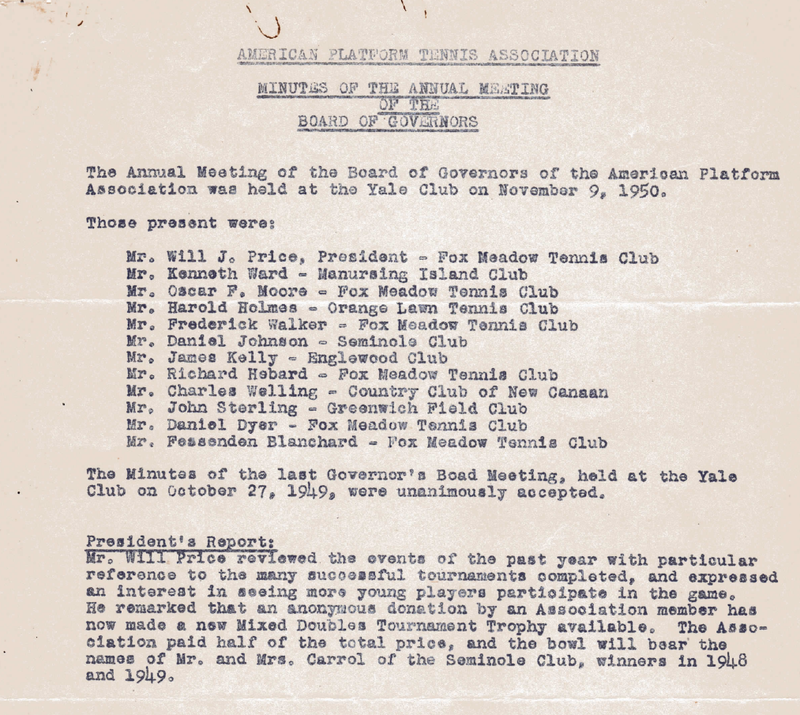 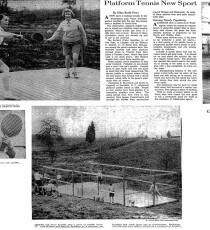 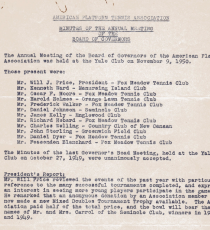 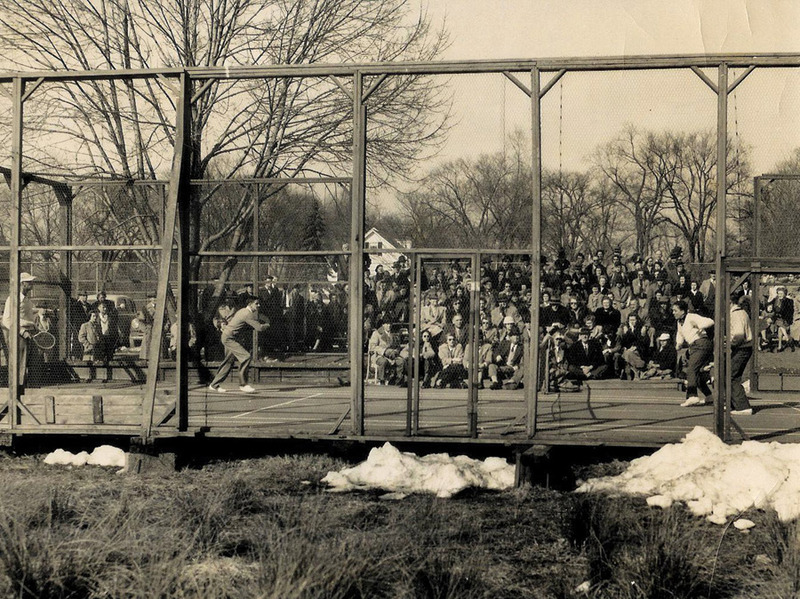 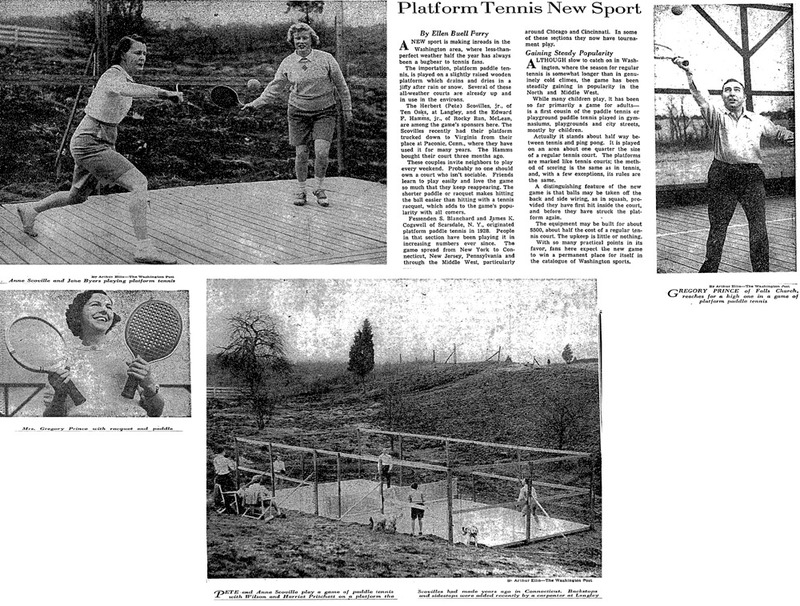 The article provided and excellent account of the development of paddle tennis and platform tennis. 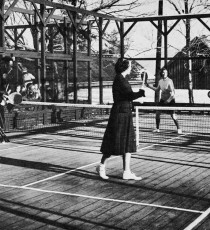 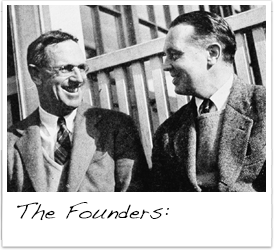 Cliff Sutter and Sidney Wood (right) beat Addison Wilson and Gordon Sanford. 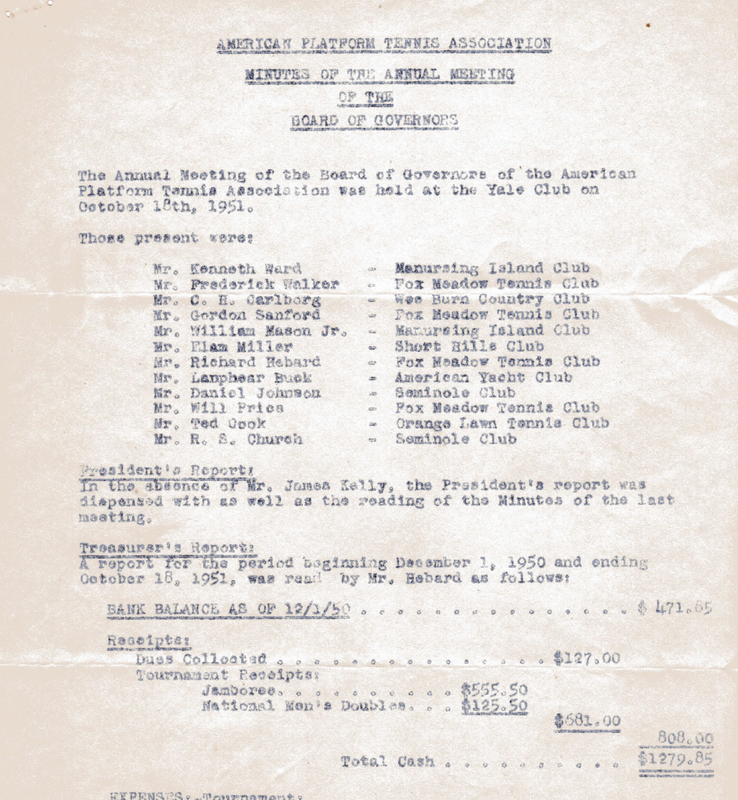 Orange Lawn Tennis Club: Mr. &. 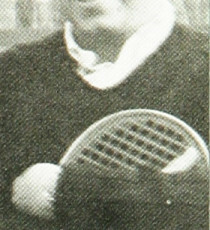 Mrs. Edward S. Cooke, Mr. & Mrs. C. Edwin Williams.